Step 4: Prepare an newly formatted MicroSD memory card(TF card) with USB microSD card reader, recommend sizes are 8G, 16G, 32G. If you don’t know how to format MicroSD card, please download SDFormatter fromhttps://www.sdcard.org/downloads/formatter_4/. 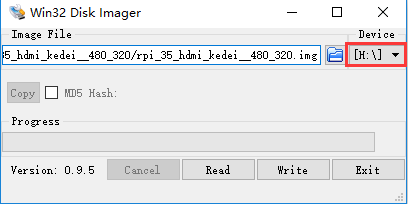 Step 6: Using Win32DiskImager to write image file(from Step 3) into MicroSD card. This screen support from 480 x 320 to 1920 x 1080 any resolution. Best performance is 480 x 320 resolution. If want to change resolution, please change the config.txt file in SD card, find the line hdmi-cvt and change the resolution in this line. After changing config.txt, save and restart Pi. Can you provide just the touchscreen driver/install? That would be very helpful! How do I calibrate the touch screen? Hi, how do I have installed a retro game emulator on the micro sd and at the same time the driver for the screen? Which OS you install when you install a retro game emulator? The image driver is compatible with OS. 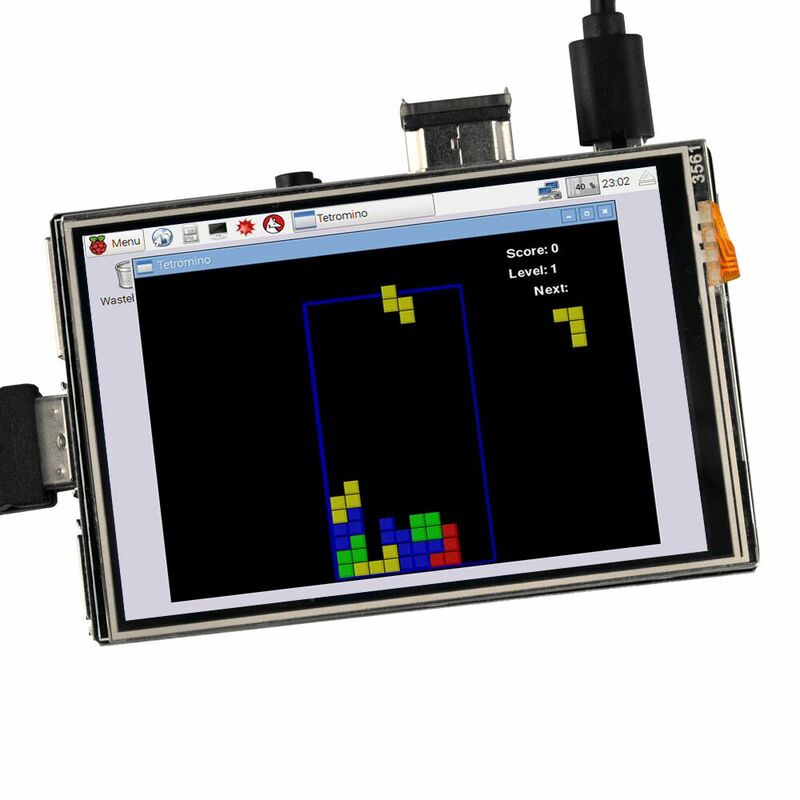 Can you post which pins are in use from Raspberry Pi 3 for your 3.5″ HDMI display? 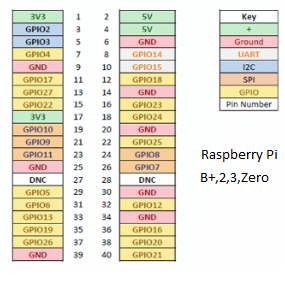 I need to use SPI-0 port and GPIO pins for some other purpose and I like to know which pins are vacant. 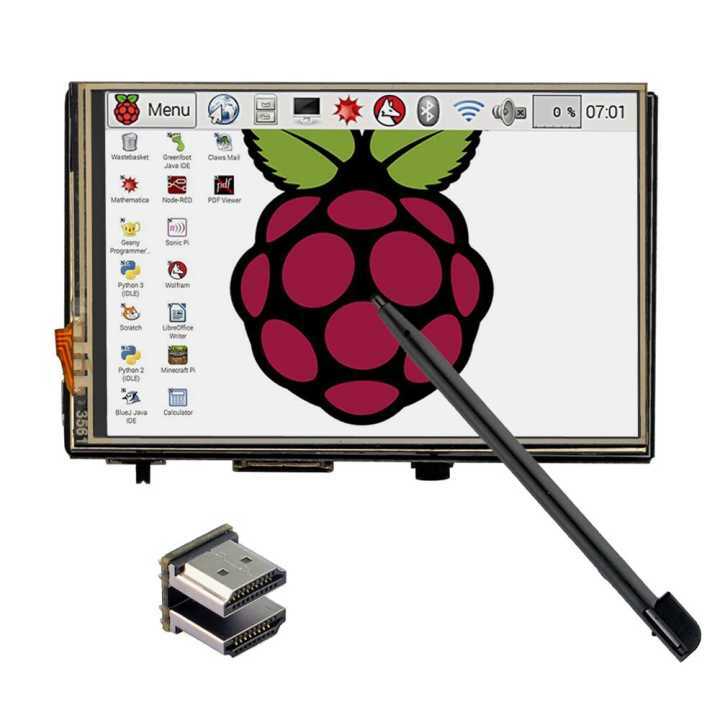 New here and newbie, I’d like to know if possible where I can find the right drivers for my Raspberry PI Display 3,5 inch DDMILCD 18BIT version 1.1 2017/7/1 for Raspbian and others. Hello, Do you mean you order our LCD and get version 1.1 and want the driver? Do you try the driver in our instructions and it works or not? I notice some screen-tearing (diagonal pattern) when playing games or videos; is there some way I can fix this? When connecting an external device to the LCD via HDMI, the 3.5jack sound only works in the left channel. With raspberries also sound only in the left channel. When connecting 3.5jack to raspberry sound in both channels. A small mistake! not from the left channel, but from the right! Hi, I just got the screen and it works perfectly with rpi3. The only problem is i’m using win 10 IoT core and the touch pad doesn’t work. How can i get a driver for the win 10 IoT? There is just touch driver for raspbian, Ubuntu and Kali. Hello, i recently bought the LCD 3.5″ Screen and i can’t install the driver correctly on a Ubuntu Mate 16.04. I follwed the instructions for driver, with the same results, blank screen. I download 2 diffrents images of ubuntu, from this page and from KeDei. 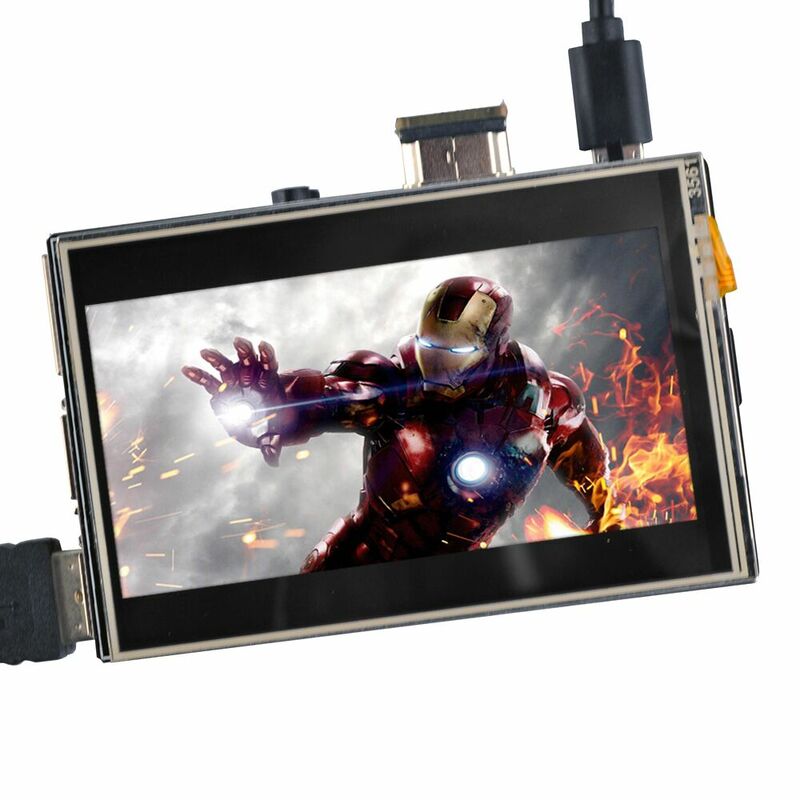 Are you willing to try other guide for this LCD: http://osoyoo.com/2017/01/18/install-3-5-hdmi-touch-screen-linux-driver-on-raspberry-pi/? What’s more, are you willing to take a photo to send to my email address: elaine@vership.com? I’d followed the guide you send me. With the very same result. Blank Screen. I install start from scratch with a clean Ubuntu Mate 16.04. I download the driver (LCD_show_35hdmi.tar.gz) to a USB and copy to the Rpi. The result is the same. I download the ubuntu image and taht is the only way i can use the screen. I’m in a IoT proyect, and is needed a screen of this size. This proyect needs to run in ubuntu mate 16. Does the LCD show when you just install ubuntu mate 16? Please don’t install the touch driver? I want to confirm whether the hardware of LCD works well. Hello, i’m the leader of a project that use this display and n RFID RC522 Card reader, that uses the SPI interface too. My questions, It’s possible to connect this 2 devices together? Can you send me the pins used by the display? Any technical reference about this will be appretiated. 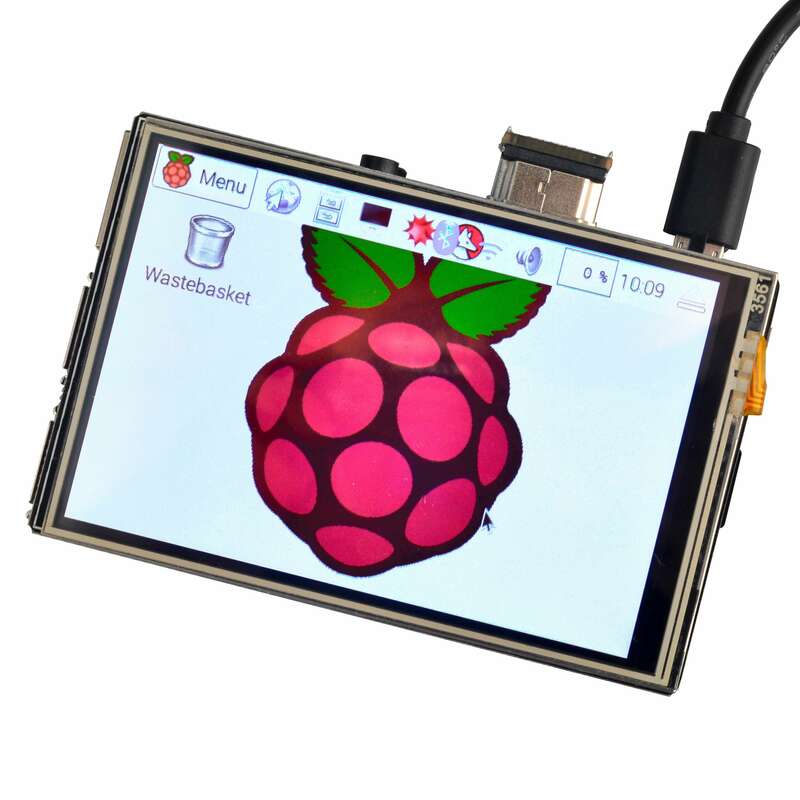 Yes,of course,you can use the 2 devices together,it is HDMI port on this display, you can connect the display and RPI via HDMI cable. Hi, the model i bought is not the one with HDMI connection. I can only connect it to the GPIO, it has 2 connector, 1 of 4 (2×2) and one of 8 (2×4). The first one uses the pins 1 to 4, the sencond the pins 19 to 26.
we suggest you’d better try another display for your project, like 1602 LCD display. the image cant be accept it for my rasp, what can i do? Hi, we suggest you visit osoyoo.com/?p=4244 and intall the driver instead of image , any update? we hope you can contact us by email to beyondtel@gmail.com and tell us the detail of the problem.we will give you guide to solve your problem. thanks so much, i will contact right now….. about osoyoo.com/?p=4244, i donwloaded this too and is the same error with drivers usbs, ethernet and wifi..
we need more information, we still hope you can contact us by email to beyondtel@gmail.com and tell us the detail of the problem.we will give you guide to solve your problem. I sent you an email last day, I will wait your answer, so thanks! Hi, we still not received your email yet, in order to help you solve the problem asap, could you resend the email to susan@vership.com.